New technologies and methods of promotion have made an exhibitor’s task of marketing a trade show booth that much easier. While time is always a valued commodity, these methods are about as affordable as it gets to spread the word about your wares. Time and time again, social media will come out on top as the most affordable and effective mode of promoting an event. But it’s not enough just to throw a couple of tweets on the internet and hope for the best. Exhibitors must target a demographic and create catchy, yet relevant, hashtags that can drive participation across multiple applications. Begin with Twitter and Facebook—the two most well-know social media platforms. According to Handshake, you should use these tools to tell a story. Keep your loyal followers engaged by updating them about where your team is in the booth creation process. This could be through the use of pictures and videos, or simple updates. Be sure to use the trade show’s hashtag, and also your own. Then move onto other platforms. Snapchat pairs very well with hashtags and can generate interest during the show as well as beforehand. Hubspot reported that location-based services like Foursquare can be used to promote certain deals or giveaways, making it very useful for establishing a presence in a very large venue. The great thing about the widespread use of technology nowadays is that everyone is always connected. Take advantage of this by reverting to an older trick of the trade—word of mouth. This is glossed over far too often, but is entirely effective when it comes to affordable marketing. First, begin close to home. Your employees are your biggest assets, and if you generate enough internal buzz about the event, it’s likely they’ll share it within their professional network. This means more LinkedIn and industry coverage than any of your old marketing campaigns could’ve hoped to achieve. If you’ve been exhibiting for a while, it’s likely you’ve gained some friends in the press. As Event Manager Blog reported, trade shows are relevant news stories—especially for industry-specific magazines. Leverage your experience at the event by giving an interview with the reporter. This way, the journalist receives a great story detailing every aspect of the trade show, and your booth gets some free publicity. This also works well with bloggers, too. Another way to generate some free recognition for your booth is to become a speaker at the event. Sure, this is easier said than done, but if you have a knack for public speaking then you can work with your team to generate some content that will be valuable to those who attend. Talk with the trade show organizer to see if any more presentation positions need to be filled—then your name, company and booth will be on every pamphlet passed out to attendees. 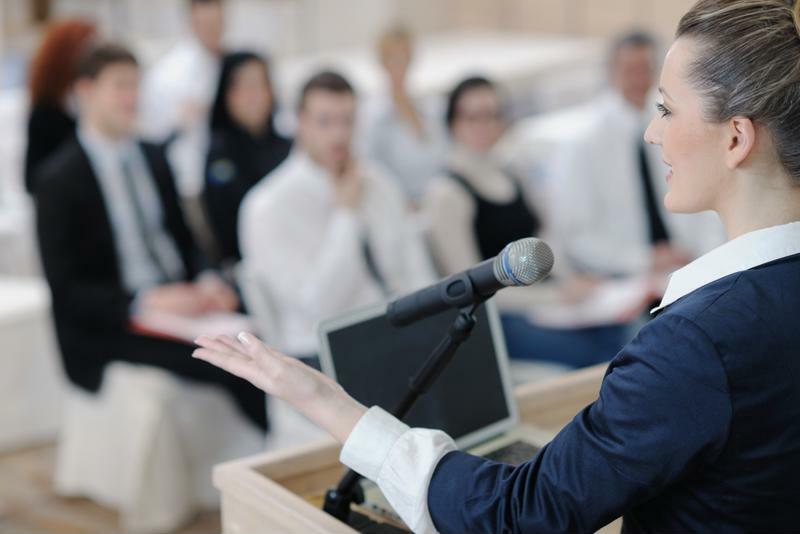 Giving a presentation at a trade show can boost your publicity. When you get to the trade show, don’t just sit there waiting for people to engage in a conversation with you. Being active both at your booth and in neutral spaces within the venue can lead to an increase in face-to-face meeting times. Giveaways work well, but leaving them on your table won’t help if no one is visiting. Handshake recommended dedicating a portion of the staff to network in common meeting spaces and food and beverage areas with the sole purpose of interacting with attendees. This way they can hand out the swag and goodies you came along with—you were going to get rid of it anyway, so it might as well go toward trying to wrangle new faces into the booth area. Another way to incorporate this method is if you’re utilizing event technologies like virtual reality at your booth, consider investing in an affordable, portable alternative like Google Cardboard. This way, salespeople can have products in hand to show attendees at these impromptu meetings. This is maximizing your available amount of space, though be sure not to advertise in the aisles or at other booth spaces. In the end, your goal should be to stay active and excited about your product—attendees will feed off of that energy and want to visit your booth.